Here is a new Loeb Classical Library edition of the resplendent epic tale of Odysseus's long journey home from the Trojan War and the legendary temptations, delays, and perils he faced at every turn. Homer's classic poem features Odysseus's encounters with the beautiful nymph Calypso; the queenly but wily Circe; the Lotus-eaters, who fed his men their memory-stealing drug; the man-eating, one-eyed Cyclops; the Laestrygonian giants; the souls of the dead in Hades; the beguiling Sirens; the treacherous Scylla and Charybdis. Here, too, is the hero's faithful wife, Penelope, weaving a shroud by day and unraveling it by night, in order to thwart the numerous suitors attempting to take Odysseus's place. The works attributed to Homer include the two oldest and greatest European epic poems, the Odyssey and Iliad. 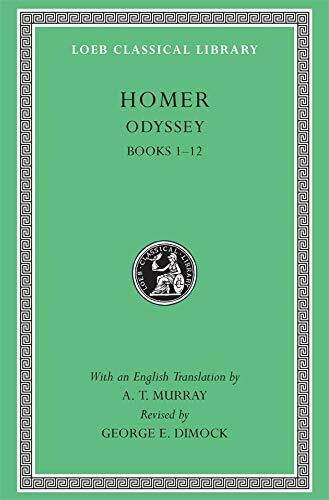 These texts have long stood in the Loeb Classical Library with a faithful and literate prose translation by A. T. Murray. George Dimock now brings the Loeb's Odyssey up to date, with a rendering that retains Murray's admirable style but is worded for today's readers. The two-volume edition includes a new introduction, notes, and index.